Item # 297402 Stash Points: 2,199 (?) This is the number of points you get in The Zumiez Stash for purchasing this item. Stash points are redeemable for exclusive rewards only available to Zumiez Stash members. To redeem your points check out the rewards catalog on thestash.zumiez.com. Get decked out in signature sportswear styling with the Trefoil Print red t-shirt for boys from adidas. 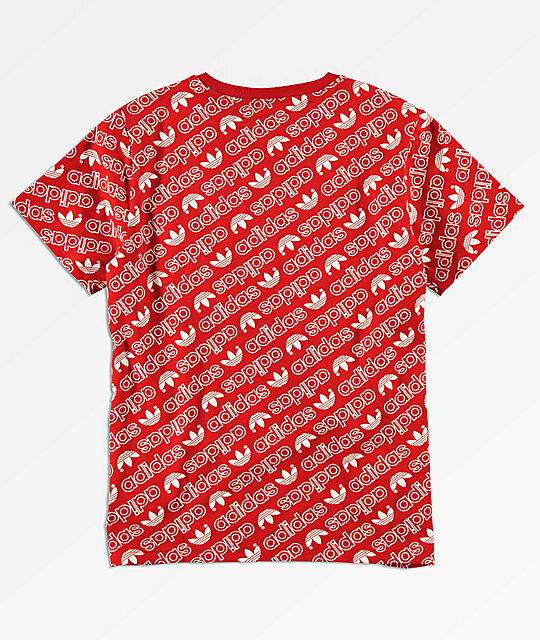 This crew neck tee comes in a red colorway and is finished with a white adidas Trefoil logo print pattern throughout. 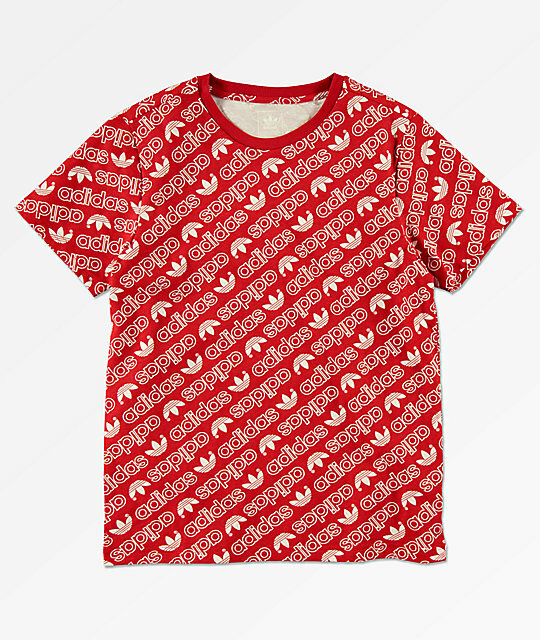 Trefoil Print Red T-Shirt for boys from adidas. adidas trefoil logo print pattern throughout.